On Day 18 of the Aadhaar final hearing, Senior Counsel KV Viswanathan resumed his submissions on the point that the government has been unable to satisfactorily prove how Aadhaar-Based Biometric Authentication (ABBA) has contributed towards savings and the plugging of leakages in social security schemes. In connection with the PDS, he elaborated on the kinds of frauds that are perpetrated, in terms of identity, eligibility, quality, and quantity. To support the argument regarding proportionality of the means (resulting in violation of fundamental rights) to attain specific objectives, he cited the 2010 Supreme Court judgment in Selvi v. State of Karnataka wherein, in context of involuntary administration of narcoanalysis, polygraph examination and the Brain Electrical Activation Profile (BEAP) test for the purpose of improving investigation efforts in criminal cases, it was observed, “It would also be wrong to sustain a comparison between the forensic uses of these techniques and the practice of medicine. It has been suggested that patients undergo a certain degree of `physical or mental pain and suffering' on account of medical interventions such as surgeries and drug- treatments. However, such interventions are acceptable since the objective is to ultimately cure or prevent a disease or disorder...While the infliction of a certain degree of pain and suffering is mandated by law in the form of punishments for various offences, the same cannot be extended to all those who are questioned during the course of an investigation. Allowing the same would vest unlimited discretion and lead to the disproportionate exercise of police powers”. Notifications mandating Aadhaar issued by the Central and state governments as well as other civil authorities under Section 7 of the Aadhaar Act, despite the interim orders of the apex court directing that no individual shall be deprived of any service or benefit for the want of Aadhaar until the final disposal of the present challenge. Grover cited the 1960 judgment of the apex court in State of Bihar v Rani Sonabati Kumari wherein it was held that “when once an order is passed which the Court has jurisdiction to pass, it is the duty of the State no less than any private party to obey it so long as it stands”. In her turn, senior counsel Meenakshi Arora advanced her arguments on the ground of surveillance. 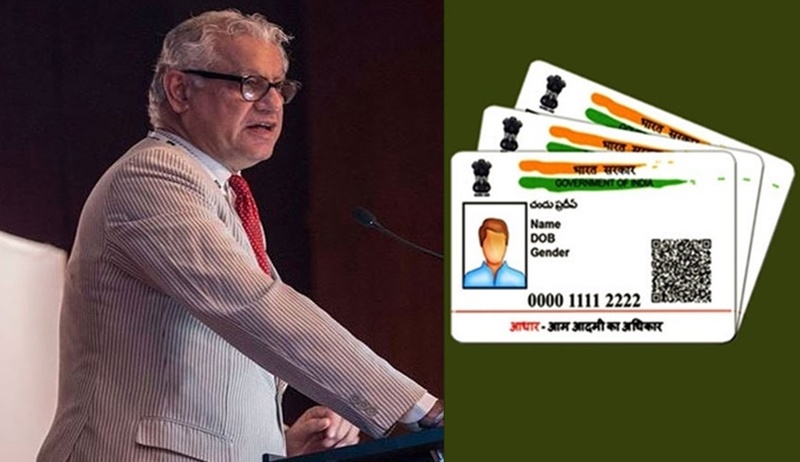 In the same context of lack of any mechanism for redressal of the grievances of the individuals enrolled under the Aadhaar scheme, Arora indicated Section 47 of the Aadhaar Act which restrains courts from taking cognizance of an offence under the Act except on the complaint of the UIDAI. The aggrieved individual is not entitled to file a complaint or an FIR. The hearing shall continue on Tuesday with the counsels for petitioners concluding their submissions.